Hunger in America 2014 shows 68 percent of clients served through our food-assistance network are choosing between paying for medicine or food. Another 54 percent used two or more coping strategies to get enough food in the last year. You did it! We won $60,000! 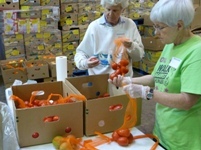 Thanks to all who supported Connecticut Food Bank in the Walmart Fight Hunger Spark Change online voting competition! We are one of 50 food banks nationwide that won $60,000! That's the equivalent of 138,000 meals. Thank you to Walmart and to those who voted every day from Monday, September 15 to October 5! 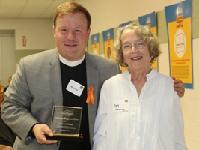 Our 2014 Hunger Action Heroes were recently honored. They go above and beyond to support our mission to provide nutritious food to people in need.Thanks to the Citizens Bank Foundation for its support of Hunger Action Month. We're running an Early Bird Special! We're getting a jump on the holiday this year and just launched a Thanksgiving Early Bird "virtual food drive" so we can ensure no one goes without a holiday meal this year. 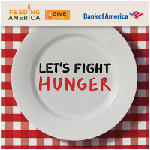 For every $1 you give through Bank of America's Give a Meal Campaign, $2 more will be donated to Connecticut Food Bank. Thanks to Bank of America for helping us provide more meals for hungry families! A total of 115 volunteers joined us in East Haven and Fairfield for a 12-hour Volunteer-a-Thon to end Hunger Action Month. Nearly 3,000 Kids' BackPack bags were packed and 9,800 pounds of food was sorted, packed and labeled. Watch our volunteers tell why they give back to help their hungry neighbors. 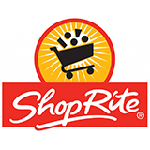 Thanks to ShopRite and PriceRite stores for Launching Check Out Hunger! Visit any Adams Hometown Market and donate $1, $3 or $5 at the register. Enjoy sampling events this month with Guida's Supercow in Deep River, Derby, Milford, Shelton, Terryville, Thomaston and Watertown. Thanks to Adams Hometown Markets for helping Connecticut Food Bank get much-needed milk! Gate opens at 10 a.m.